No doubt Videos are the future and why not!! They are short, simple and to the point. Researchers have shown that people don’t read the entire blog post anymore, but instead, they try to scan it. This might be one of the reasons why YouTube has become is the second most popular search engine (After Google). So if you haven’t already moved to video marketing, then better do it now. Videos are not only helpful in branding, but you can also monetize your YouTube video and increase your revenue. There are many WordPress plugins available which can tweak YT video but using them would mean another plugin and risking your site speed. 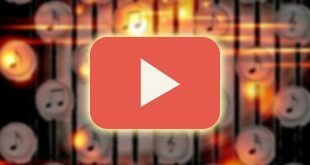 In this article, you will find out how to manually embed YouTube videos effectively by playing around the embedded source code. Since you are reading this, I guess that you already host your video on YT and know how to embed them on your website. But if you are new to this there here is how you can do this. Step 1. Open YouTube.com and look for the video you want to have on your website. Step 3. Now come back to your site, and navigate the post where you want to have that YouTube video. Step4. You can embed youtube video in Blogger or WordPress, by just pasting the code you have copied. Make sure you are pasting this on text or HTML editor and not the visual editor. Save the changes and your video will be embedded. But do you know there is more efficient way to do this? While most websites just copy paste the embedded code for video, tweaking your own video might give edge to them and make your site look different. YouTube allow you to add attributes to your video. You can find the complete list of them from here. However to make things easy to understand. I have simplified the list and pick up most important relevant one. How you should embed YouTube videos? Go to the video you want to embed in your website and right click on it. Select the copy embed code option. Now paste the code in the HTML editor of your site. Change the width and height directly from the code but make sure that you maintain the aspect ratio. The first things we need to remove the related video that appears after the video is overs. We want to keep the visitors to our websites only. This can be done by adding this parameter at the end of the video id. You can also do this by directly going to the share option underneath the video and selecting embed option from there. Next, we need to change how the player is going to look on our website. By default, YouTube has a dark theme but we can change it to white, and it will look surprising different. I also don’t like to show the title of my video for some of my videos, as the visitors already know what video is going to be about. But you might like to keep it sometimes. To hide the video title use the parameter. You can also change the progress bar color from red to white using the command. By default, it is 0 which means no while one stands for Yes. If you video is on the top of the content, then it’s better to keep it on autoplay. If it’s at the bottom or middle of the page and stick to the default or visitor might get frustrated by the audio while searching for the video. Is it legal to embed youtube videos? Yes, If you are thinking to embed someone else YouTube video then you can do it in the same way of copying pasting the code. However, if the user doesn’t want his/her video to be used in other websites than he/she will disable the embedding options. So As far as the user don’t have any problem you are good to embed the video. You won’t violate any copyright issue but it will nice if you give credits. However, if you are thinking about downloading his video and uploading it from your account then, you can’t do this ( if the video is listed under standard YouTube licence). As it will violate YouTube term and condition. If you are into more advanced configuration without making getting yourself into editing code then-then check out this website which lets you edit the youtube by giving GUI interface. 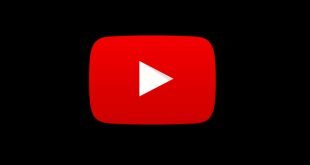 YouTube video add up to page loading speed, but this can be reduced by Loading the YouTube Video Player On-Demand, for this you will have to use a script made by Amit Agarwal. But it is better to remember this code because you never know when the site like this may go down, and you will not be able to edit the code yourself. Also, make sure you also bookmark this page so that you can easily find this page next time you embed YouTube videos.